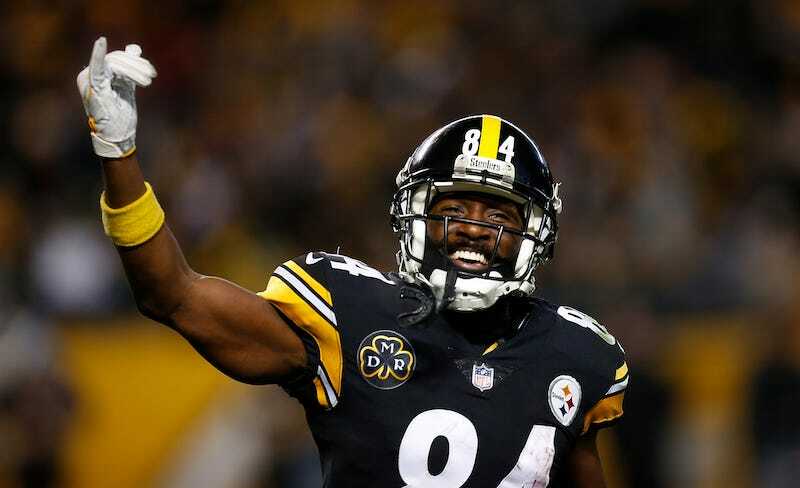 The Steelers are 9-2, they’ve won six straight, and they’re in line for a playoff bye and maybe even home-field advantage in the AFC. Last night, they survived a scare from the Aaron Rodgers-less Packers, thanks to Chris Boswell’s walk-off 53-yard field goal. 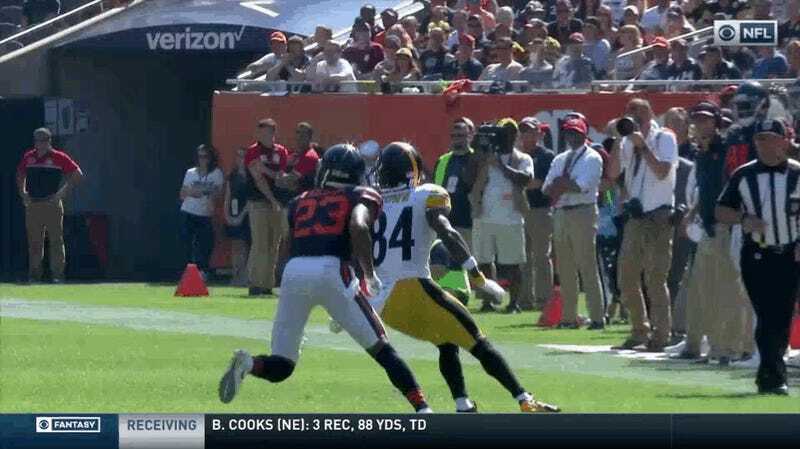 But we really need to talk about wide receiver Antonio Brown. He’s been one of the NFL’s best wide receivers for years, but he’s outdoing himself this season. Last night was Brown’s tour de force. 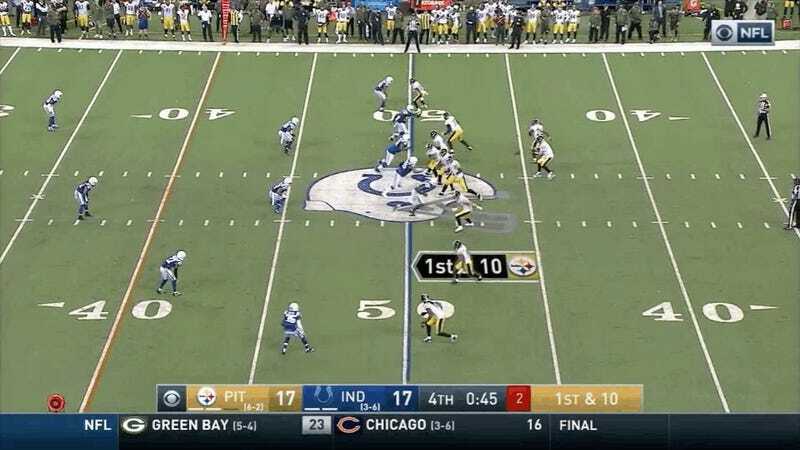 Let’s begin at the end, when the Steelers got the ball back on their own 30 with 17 seconds remaining and two timeouts. They would have had a bit more time had Brown not tried to return a punt instead of calling for a fair catch. He would make up for it on the first play from scrimmage. That wasn’t a catch, was it? Oh, but it was. 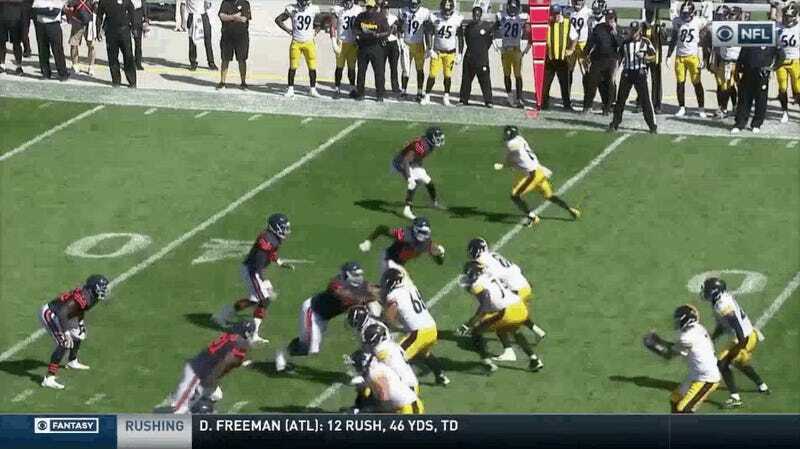 Ben Roethlisberger made a perfect throw. 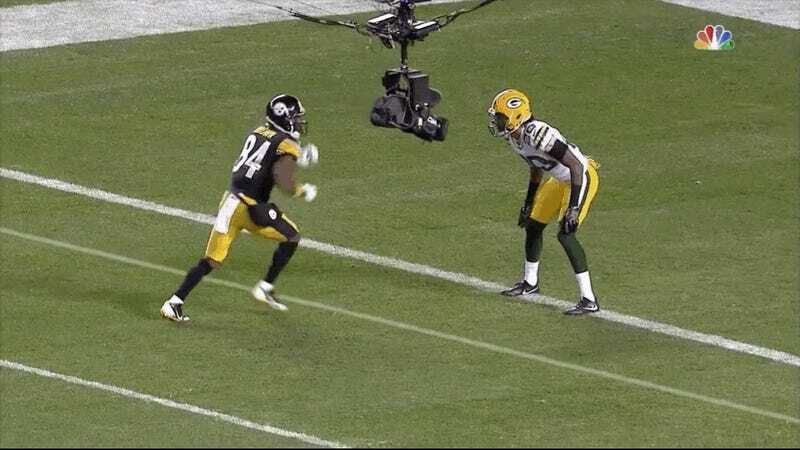 But watch the way Brown focused to catch the ball away from his body, planting his left foot in bounds while dragging his right foot just as the ball got to him. Here’s another angle. This play was a symphony of body control. 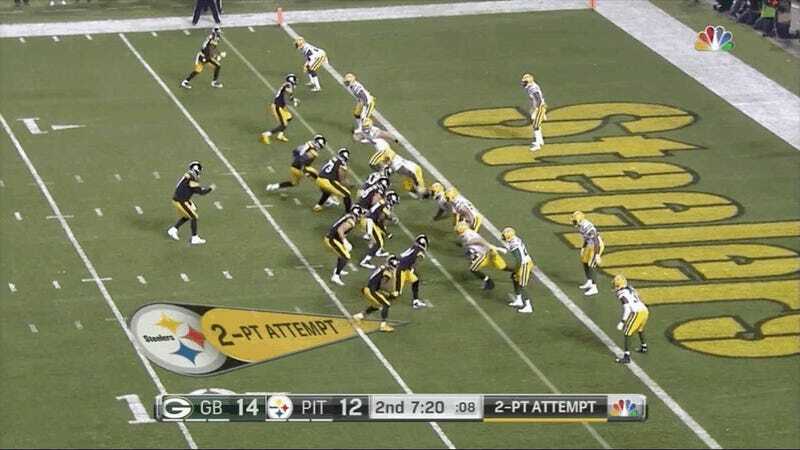 That play put the Steelers in field-goal range. Two plays later, Boswell nailed the game-winner. The Steelers began the season with an offense that had the potential to smash records. They entered Week 12 ranked sixth in offensive DVOA, and running back Le’Veon Bell now leads the league in rushing (981 yards) and yards from scrimmage (1,377). Even Roethlisberger, despite some maddening inconsistencies—not unlike his up-and-down performance from last season—came into Week 12 ranked sixth among QBs in DYAR (total value) and eighth in DVOA (value per play). 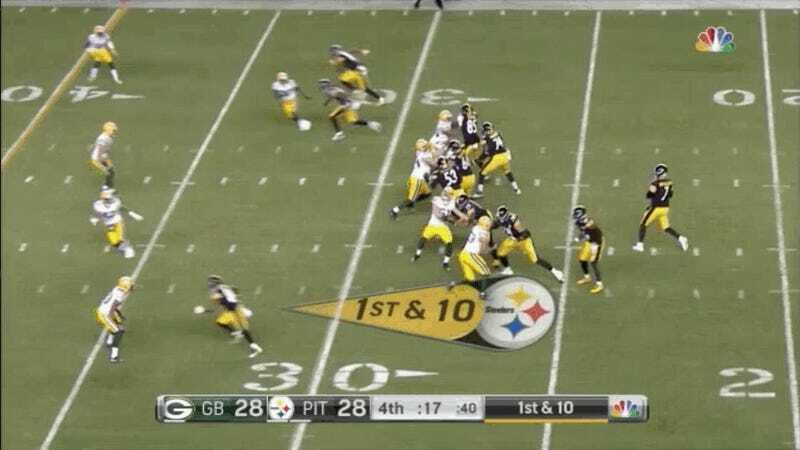 But, as last night showed, when the Steelers need a play, invariably the ball winds up in Brown’s hands. Any which way they can get it to him. Here’s a third-down catch on the game’s first possession. 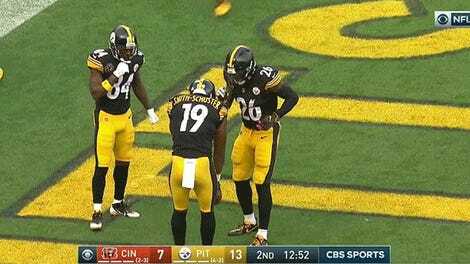 The Steelers needed one yard. Brown ran a simple drag route against zone coverage, catching the ball between two defenders for a gain of two and a first down. Here’s another insight Collinsworth picked up on. On this third-down grab, Brown beat the Cover 2—a defense he sees all the time—by turning inside. He not only stopped to catch the ball between two defenders but had the presence of mind (and exceptional body control) to turn upfield for a big gain. 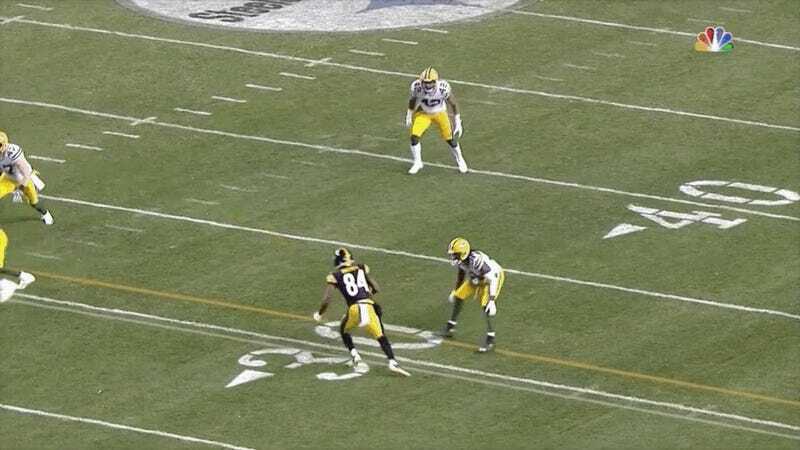 It’s no secret that Roethlisberger relies heavily on Brown, who accounts for 32 percent of all the Steelers’ receptions and their targeted throws, in addition to a league-high 44.6 percent of their targeted air yards. But Brown’s value—he’s first in DYAR, ninth in DVOA—goes much deeper than that. The Steelers’ offense ranks just 13th in third-down conversions (39.7 percent). Per Pro Football Reference, on third down and with seven or more yards to go, Brown has been targeted 14 times. On those 14 targets, he has 10 catches for 140 yards, and he’s picked up five first downs. And on third or fourth down and three yards or fewer, he’s got seven catches on 11 targets for 89 yards. Every one of those catches has yielded a first down. In the red zone, Brown’s value is even more pronounced. The Steelers are bad in the red zone—tied for 28th, with touchdowns on just 46.5 of their trips inside the 20. But it’s not because of Brown. He’s got 11 catches—third in the league behind the Seahawks’ Jimmy Graham and the Packers’ Davante Adams—on 17 targets for 66 yards and five touchdowns. Inside the 10-yard line, Brown is even more lethal: six catches on eight targets, 38 yards, five TDs. Even with all that, Brown’s biggest highlight-reel play from last night other than the toe-tapper might have been his 33-yard touchdown early in the fourth. 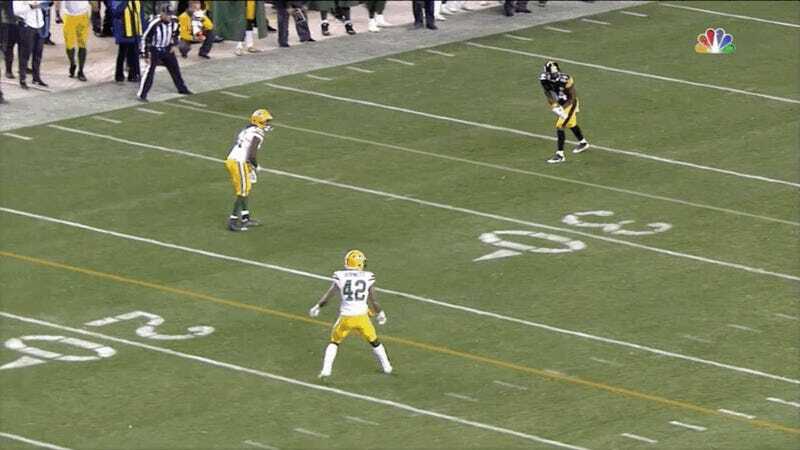 Collinsworth pointed out that Brown saw the Cover 2 double-team at the snap, which led Brown to explode out of his stance and fight to get outside cornerback Davon House, who got turned around. 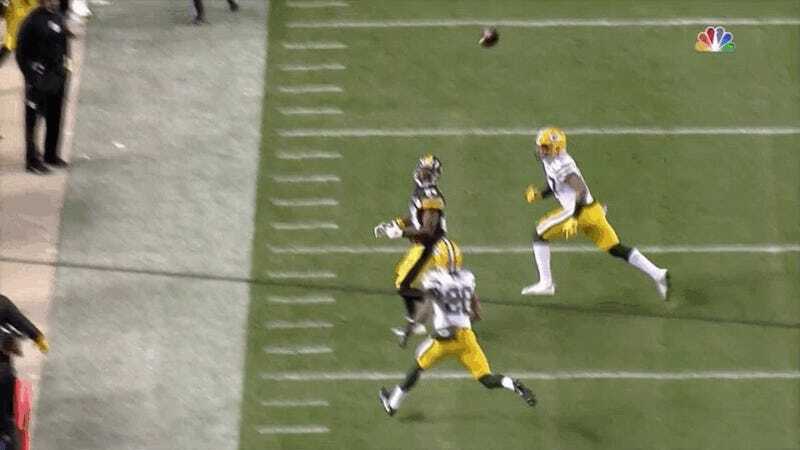 That created just enough of an opening for Roethlisberger to loft another perfect throw right to where safety Morgan Burnett couldn’t get to it. 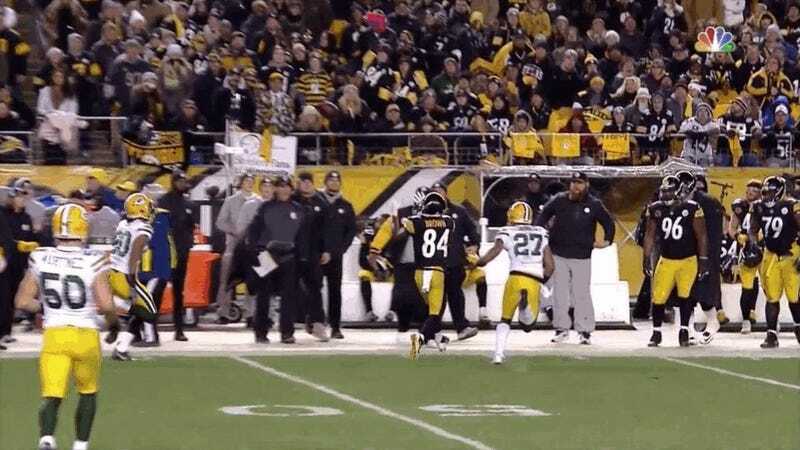 After the catch, Brown did the rest, stopping on a dime to evade Burnett as he was headed out of bounds. The move was so sudden, yet so smooth, House gave up on the play. Touchdown. 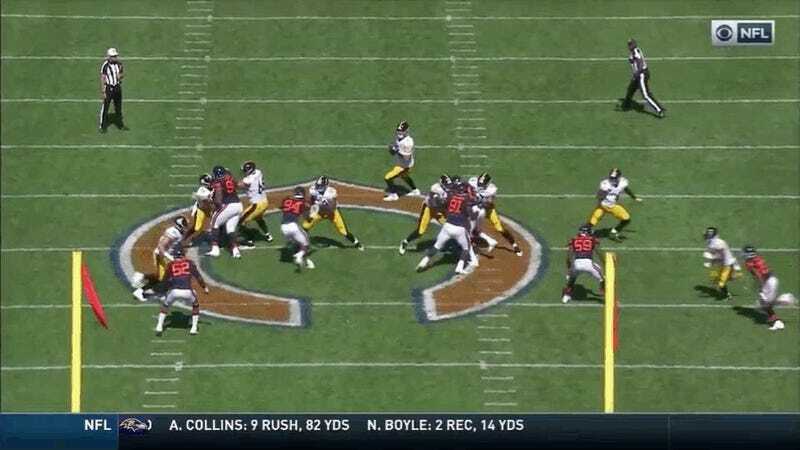 The Steelers’ offense has been good this year, if not necessarily otherworldly or even consistently great. They’ve often played down to opponents by being sloppy, and their defense has lately had a tendency to give up big plays (six covering 39 yards or more in the last three games alone). These will surely be issues to correct if the Steelers hope to finally get past the Patriots to get back to the Super Bowl. But Antonio Brown is the exception. There’s nothing he can’t do, and he’s doing it all. * An earlier version of this post incorrectly referred to Kevin King’s first name as Kenny.